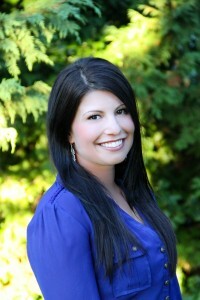 Selena is a Registered Massage Therapist and a member of the College of Massage Therapists of BC. She grew up in Victoria and completed an intensive 3000 hour RMT program at The West Coast College of Massage Therapy, the highest standard of training in North America. She is trained to safely assess and treat a variety of conditions including but not limited to; chronic headaches, postural imbalances, pain and tension, recovering from nerve/sport/repetitive strain injury or stress and anxiety. Her interest in massage therapy developed from her passion for helping and nurturing others and the love of meeting and working with people of all ages and walks of life. Being part of a profession that allows her to assist her clients in achieving optimal health and well-being brings her a great sense of fulfillment. Since graduating Selena has gained experience working in a Chiropractic Clinic as well as a high-end Spa. Selena’s goal in every treatment is to make you feel at ease and to safely and effectively customize and develop a treatment plan and home care regime based on your healthy history, her assessment findings and your individual needs and lifestyle. She uses a variety of modalities including but not limited to swedish massage, deep tissue techniques, trigger point therapy, joint mobilizations, stretching, myofascial release, muscle energy and active release techniques. Selena believes the human body has amazing healing capabilities given the right facilitation and is happy to help you with your needs and self care. Selena is accepting new patients. She has convenient morning, afternoon and evening times available. Selena Curvelo also practices at the main Shelbourne Physiotherapy & Massage Clinic located at 100B-3200 Shelbourne Street, Victoria, BC on Tuesdays, Wednesdays and Fridays. To book an appointment with Selena at the main clinic please call 250-598-9828 extension 1. Selena practices at our Gordon Head Recreation Centre Clinic Saturdays. To book an appointment book online or call 250-595-5858. Shelbourne Physiotherapy, Pilates & Massage is a locally owned health company with 3 locations in beautiful Victoria, British Columbia. Our clinics offer Physiotherapy, IMS (Intramuscular Stimulation) & Dry Needling, Kinesiology, Exercise Rehabilitation, Massage Therapy, Sports Rehabilitation, Post-Operative Rehabilitation, Vestibular, Dizziness & Balance Rehabilitation, Women’s health (peri-partum and incontinence), Acupuncture, Hydrotherapy, Aquatherapy, Pool Therapy, Real Time Ultrasound, Arthritis and Osteoarthritis Treatment, Electrical Modalities, Pelvic Floor Physio, Pelvic Pain Physiotherapy, Incontinence Treatment, Sports Physiotherapy, Chronic Pain Treatment, Shockwave Therapy (ESWT), Aquatic Therapy, Yoga, Yogalates, Clinical Pilates and Custom Knee Bracing, Our clinics are approved providers for WorksafeBC (WCB) Physiotherapy and ICBC Physiotherapy, Kinesiology & Rehabilitation.